In April TrueFanView.com released a piece written by Joey Covers. Joey lives in Las Vegas. His life is spent raising children with his wonderful wife and keeping a very close eye on the world of sports. He wrote about how the NBA would drown us in silly commercials. He wrote the NBA playoff theme song would soon get on our nerves. He even predicted what artist that song would be performed by(Will.i.am). He nailed it, all of it. Joey even went as far as giving all the readers “the field” in betting on who went to the NBA Finals. 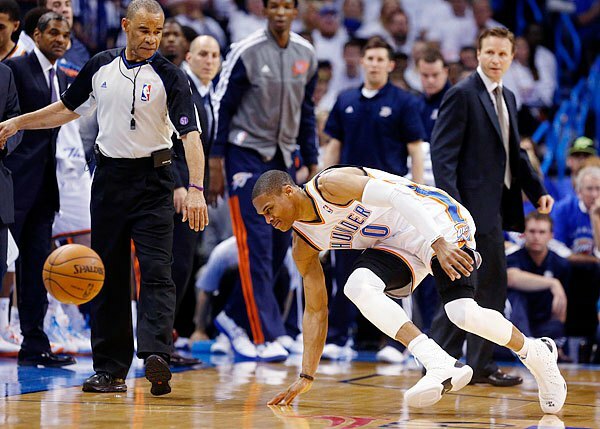 Joey took the Heat and Thunder with this caveat, “unless injury prevents it”. It’s like he knew. It’s like he looked into his crystal ball and watched Russell Westbrook’s knee crack under Patrick Beverly’s pressure. This Joey Covers guy…..he’s good. Real good. I was hoping with everything I had my Rockets would defy odds and somehow knock off the Thunder. Didn’t happen. At that point I was stuck watching the playoffs unfold with no real “rooting” interest. I wasn’t too concerned that the worst-case scenario could happen. I hoped Golden State would take care of my life long enemy in the NBA. Nope. I then looked to Memphis to do the job. They disappeared. So here I am on the eve of Game 1 of the 2013 NBA Finals dreading the awful fact that I have to watch the San Antonio Spurs compete for another title. It’s disgusting. And to make matters worse, we now all know that even when Dwyane Wade and Chris Bosh disappear, LeBron James is capable of carrying the Heat to an NBA Finals. I really hope at some point in this series all 10 players on the court flop at the same exact time and end up on the floor while the ball just bounces at midcourt. Imagine the fear of a Joey Crawford not knowing who to blow his whistle against while all of the SUPERSTARS lie on the court. That would be so awesome. History would be made. It’s bad enough we have to hear the “who knows how this goes, each team sat their STARS each time they played” nonsense. I couldn’t care less who wins. Really, I do not care. Not even one little bit. The Heat with LeBron won their ring in a strike-shortened season. ASTERISK. The Spurs first title came the same way, after a 50 game season. Not to mention they’ve never won a ring back to back. ASTERISK. Remember how these two teams came to be? The Spurs sat every starter for an entire season to draft Duncan. The Heat have three guys who sipped drinks pool side and thought if they joined forces they could win NOT 1, NOT 2, NOT 3, NOT 4……you remember. Enough of the ranting, I’ll get on with it. For the Spurs to win they must continue the style of defense they used against Memphis. Popovich utilized the Spurs size to disrupt the Grizzlies on the defensive end. Each time the ball went into the post, Grizzly big men were swarmed by the Spurs big men with help from Kahwi Leonard. All those bodies and long arms really shut down Gasol and Randolph. Look for the Spurs to do this when the ball goes in the post to LeBron. The Spurs will GIVE Haslem and Bosh the outside shot. (note: My feelings are Haslem does not shoot as well as he did and Bosh will not shoot as poorly as he did against the Pacers.) On the offensive end it’s all about Tony Parker getting into the paint. He must score and allow that to set up Leonard and Danny Green for open shots. Duncan needs to be Duncan. How? He’s like 60 isn’t he? The same can be said for Manu. (I hate Manu. Like fire ant bite hate him. Only in sports, nothing personal.) No team has better role players than the Spurs. Year in, year out. I have no idea how it happens, it just does. So expect solid contributions from the Spurs bench and role players. Yawn. 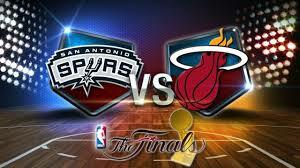 The Heat must do more to beat this Spurs team. Despite “t-shirt fans” claiming LeBron is the best ever in the history of man, he will not be able to save the Heat the way he did against the Pacers. Ray Allen, Shane Battier, Chris Bosh, and Dwyane Wade have to pick their play up. They flat out played poorly in the East Finals. Should we all expect them to “turn it on” for the Finals? Not me. Not against this Spurs defense. Ball movement and transition baskets are a must. Some how, some way, the Heat must control the glass. The more offensive possessions the Heat can create the better they will be. Speed the game up. Get out and run. Keeping Tony Parker in check is the single biggest factor here. Let him penetrate at will and it could be a short series. Again, keep the Spurs off the glass. And limit the open three. The Heat have to find a way to not get killed in the paint and recover to the arc and defend the three. Defend the three. The THREE, DEFEND IT!!! So who wins? I say, “Who cares?” I’ll watch but in no way do I care. I hate the Spurs. I can’t stand the Heat. (It’s more a Heat bandwagon thing than the team itself.) If I have to pick a winner, if you’re going to make me…….